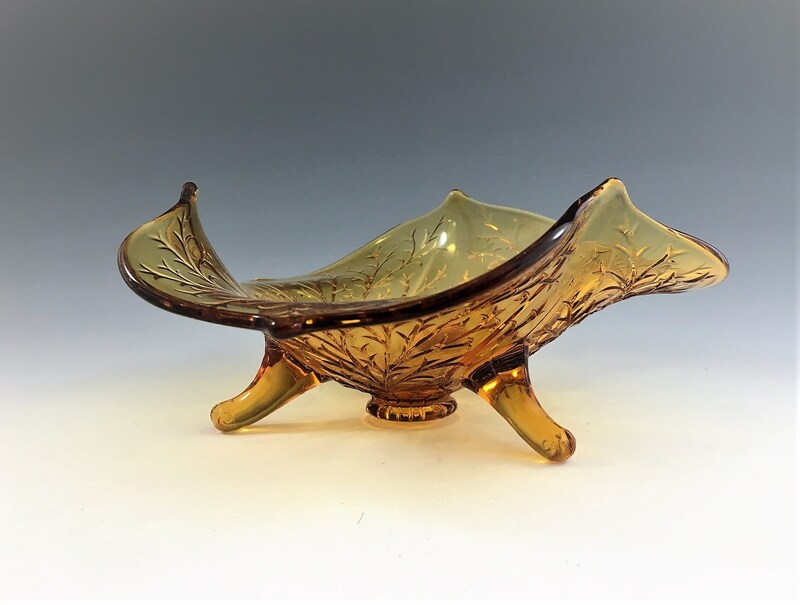 Featured is a beautiful three-footed, amber glass bowl from Fenton. 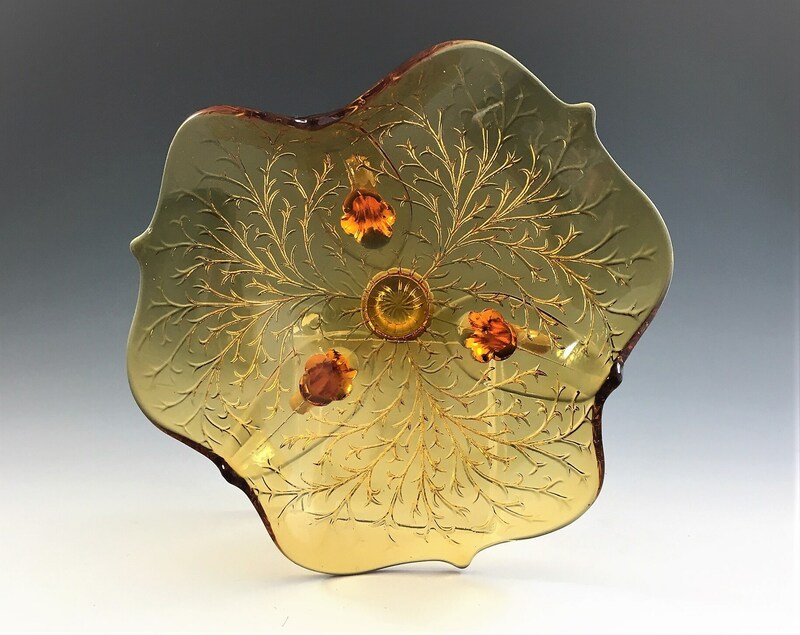 This is their 7 Inch Club Shape Bowl (#1006) in the Silvertone pattern. 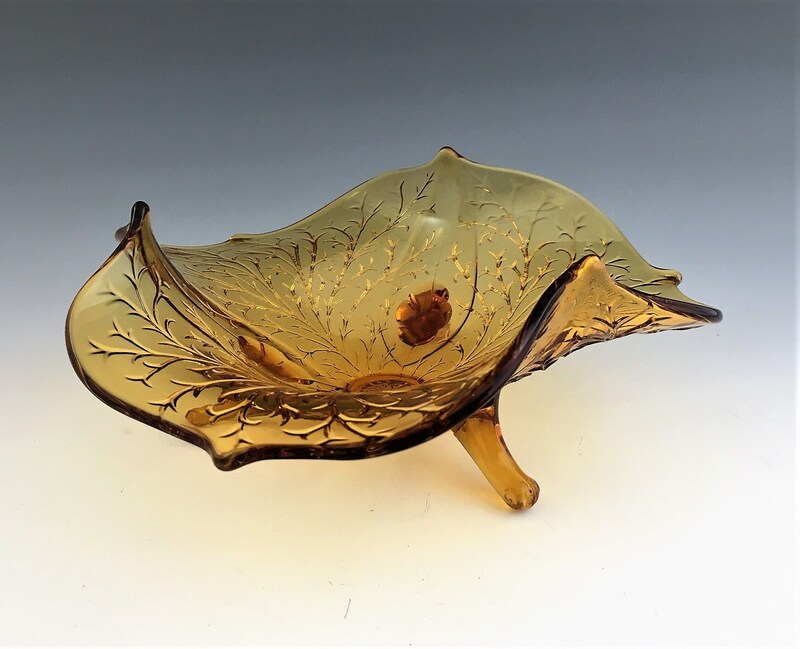 This pattern was produced between 1934-38 in an assortment of pressed bowl, plates, and candles and it has an embossed design which resembles the veins of a leaf. 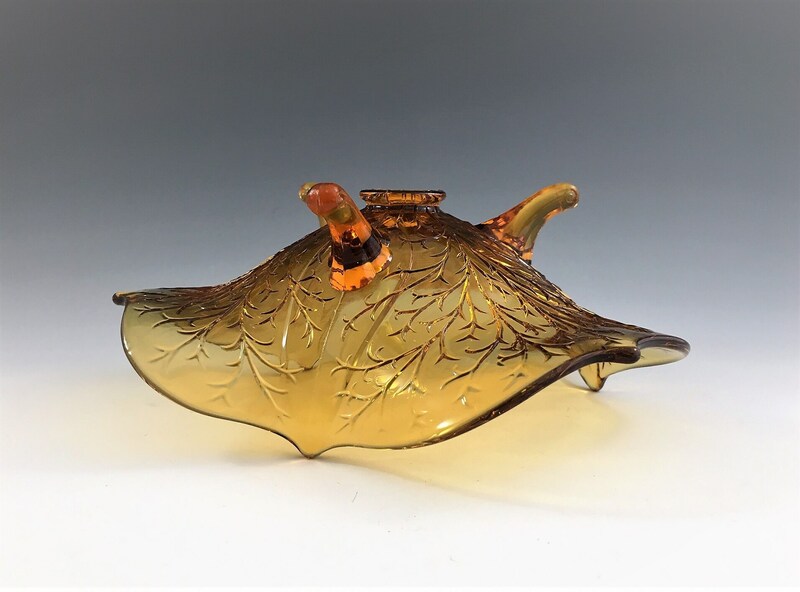 This piece is in excellent condition, with no chips or cracks.